Bizquip Interiors worked with leading Irish Interior Designer Jean Feeney on this vibrant office interior project. Red C Research, a research-based consultancy organisation, moved to Eastpoint in Dublin 3 and wanted a fresh, bright new plan to accommodate their needs. Bizquip Interiors worked with leading Irish Interior Designer Jean Feeney on this vibrant office interior project at Red C Research’s new offices at Eastpoint, Dublin 3. Peacock Interiors specified a full suite of furniture from Bizquip Interiors’ furniture portfolio. Jean Feeney created a dynamic and fresh workspace for Red C across a predominantly open plan floor space, spanning 8,632 sq. 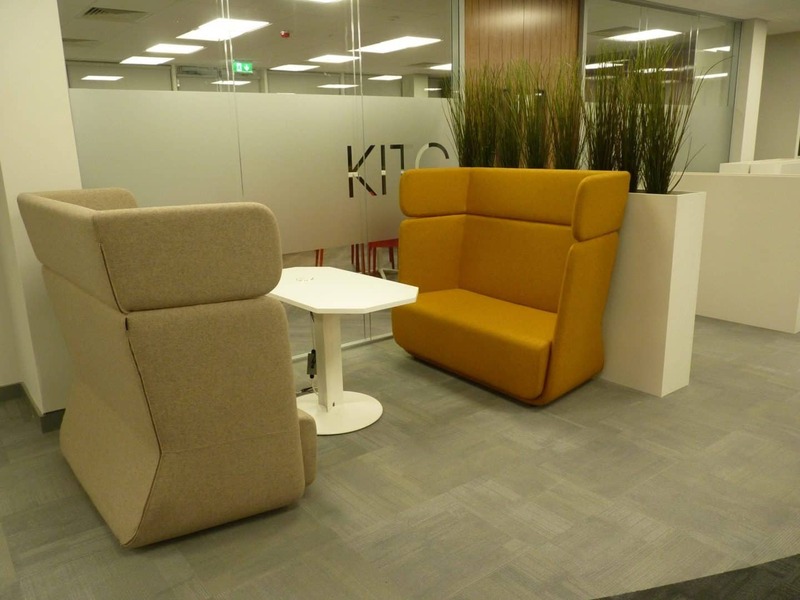 ft.
A range of Actiu furniture including folding tables, bench desks and executive desks were included in this project along with Humanscale Diffrient World task chairs and a mix of Softline and Pedralifor break out and canteen furniture.